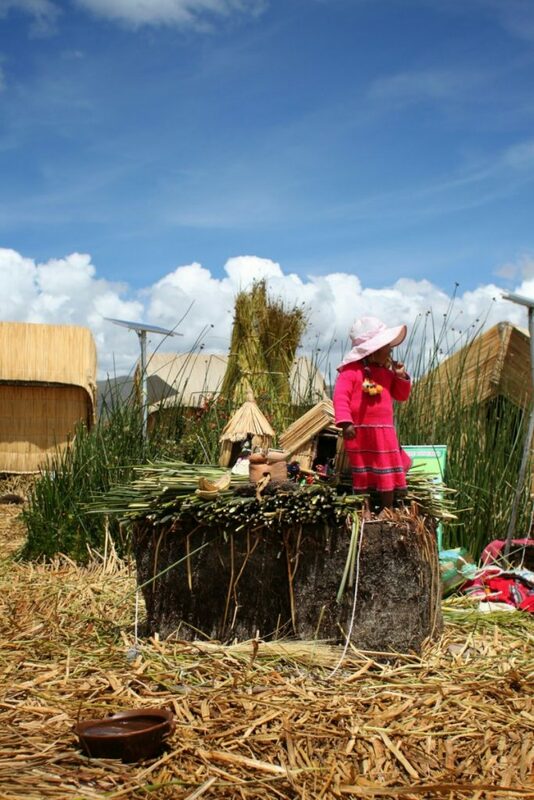 Twenty minutes by boat from Puno is the community of floating islands of Uros. Fun fact: there are loads of buses that leave each day from Puno to La Paz. We lazily strolled into the terminal after breakfast and looked for a bus. Turns out, all the buses either leave at 7:30 in the morning or at 2:30pm. We missed the morning buses by an hour. A tour agent was watching our plight unfold in the near empty bus station, and kindly offered us a trip out to Uros. What choice did we have? So we get shuttled down to the dock and into a boat. The boat slowly filled up with tourists from other agents, and when finally full we set off. 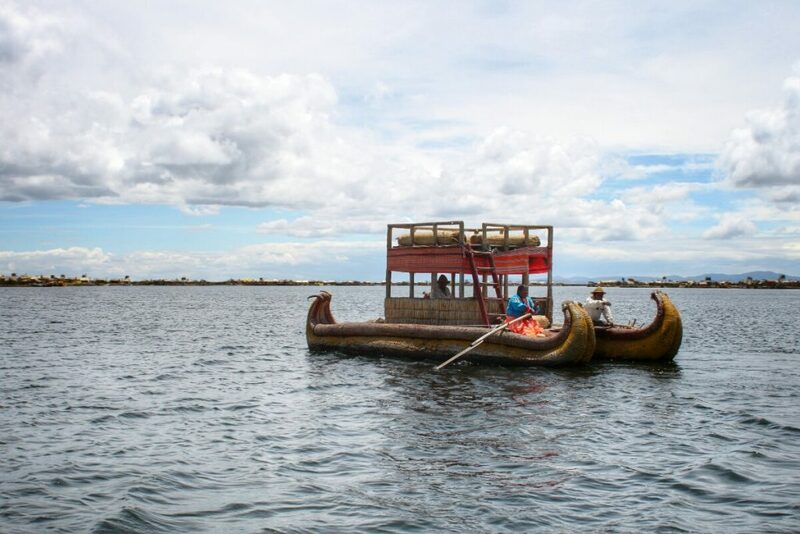 Uros is about 20 minutes from the Puno dock. The boat meandres through tall reeds, which open out to about 80 floating islands. It’s a pretty novel sight; houses made of reed atop islands made of reed. Each tourist boat seems to have their preferred island at which to stop and show off. It is really quite amazing. 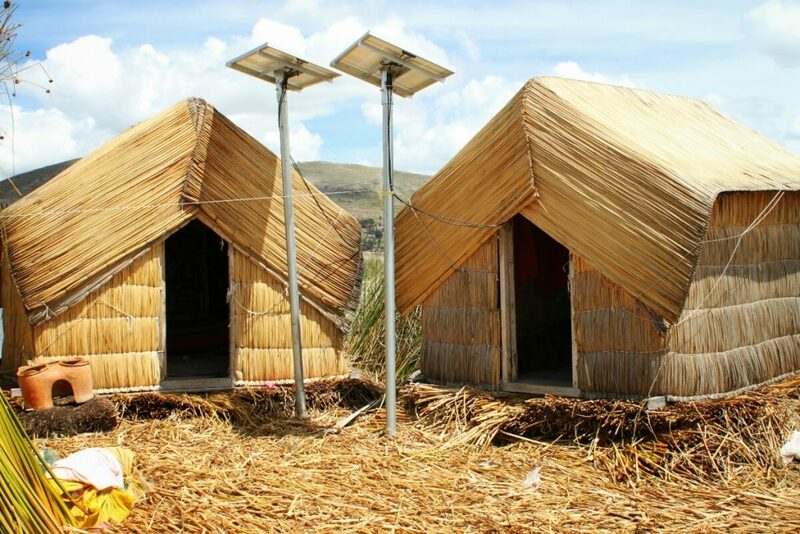 Around 4000 people live on the islands at Uros. There is even a primary school, though high school students need to boat into Puno. The “president” of our island explained, in Aymara, the construction of the islands. The buoyancy comes from dense blocks of the roots of the local reed. 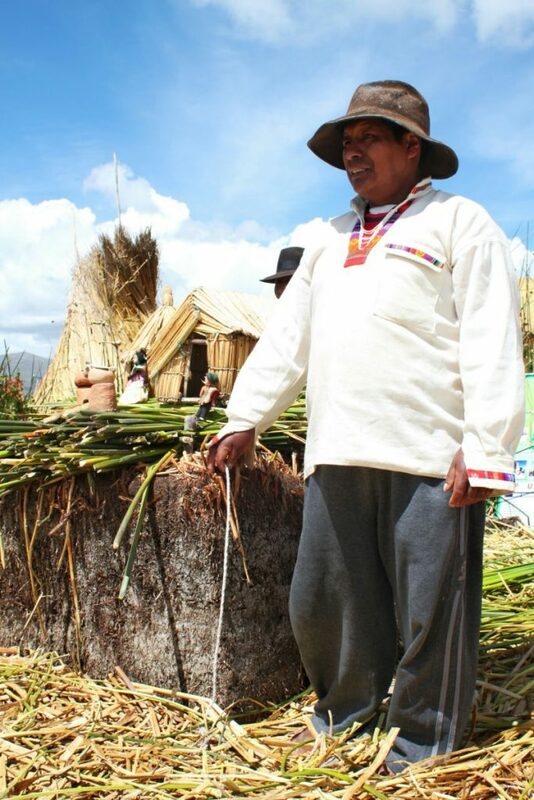 These are tied together, then reeds are piled on top to create the floor. The layers are then anchored to the lake bed. With constant replenishment of the top reed layer, the islands last around 80 years. Despite the community having lived out here for hundreds of years, the construction technique is quite recent. Only since the introduction of synthetic rope have permanent islands been possible. 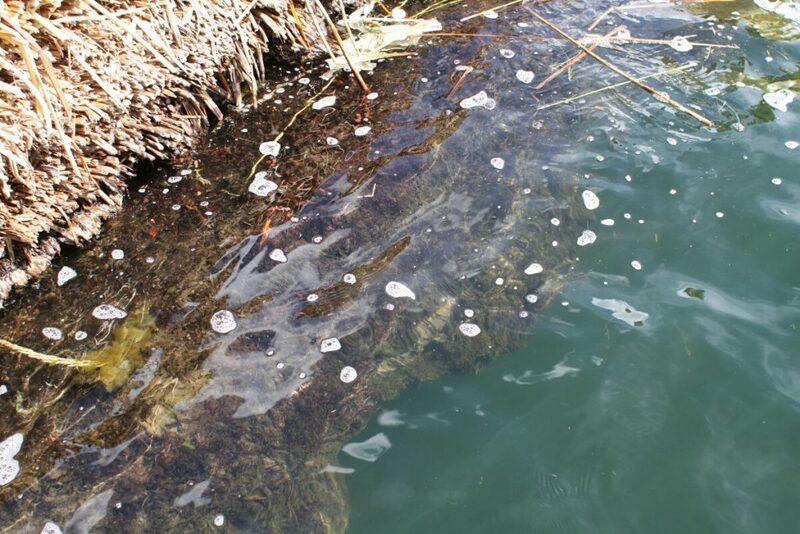 Natural fibres would break down in the wet environment. Before this, reed boats tied together were more common. 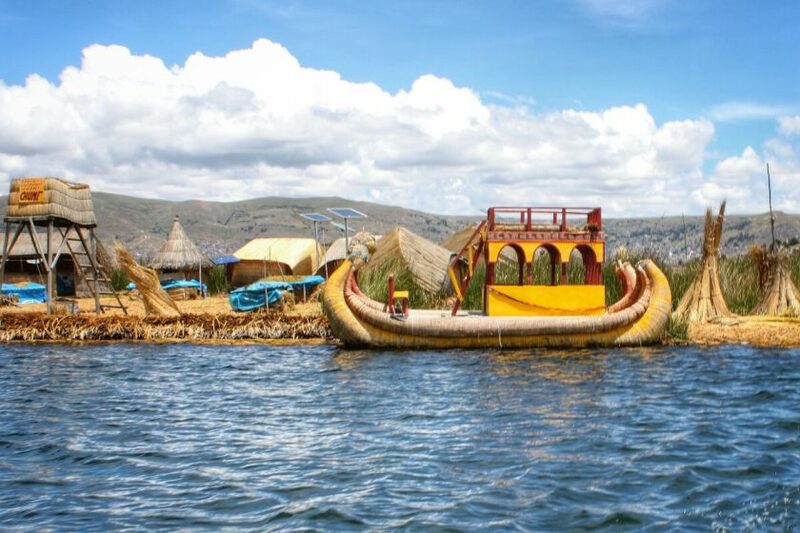 Tourism and fishing are the only industries for the Uros people, and the tourism is a slick operation. Hop off the boat, get a bit of an explanation, have a look around, buy crafts from the locals. Then, you are encouraged to get on a reed boat to be rowed over to the capital for a fee. This fee will start around 20 soles and will quickly drop if you don’t look keen. Choose not to go, and you get to sit and wait for 20 minutes, before motoring over anyway. The capital island is really just a shop and a restaurant. After this, you head back to Puno. Uros, not a bad few hours if you’re in Puno waiting for a bus. 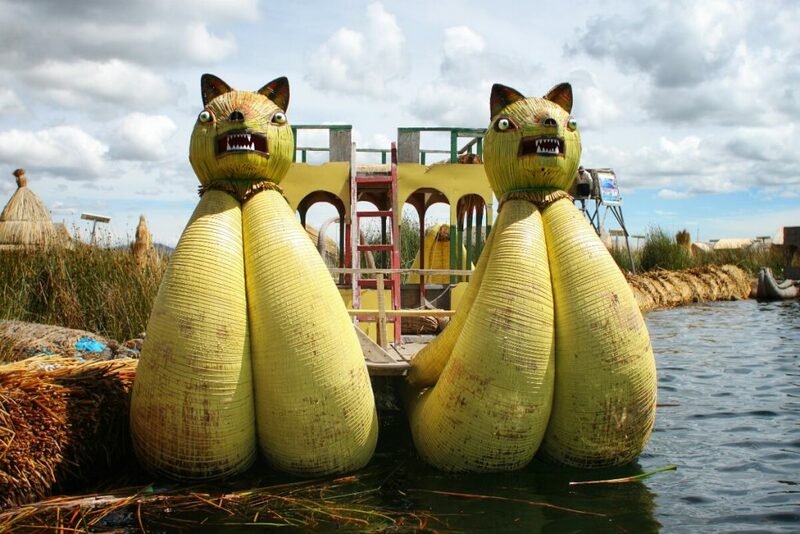 The Uros community is a genuine culture that have lived out there for a long time, and the islands are pretty crazy. Just be prepared for the blatant tourist trap that might leave you wanting a shower.